I wish I had flawlessly perfect skin. And I’ll do almost anything to make that a reality. Unfortunately, my skin just doesn’t share in that dream. You know the feeling, when you dutifully cleanse, tone, mask, and moisturize only to be left with all the same irritating skin issues that refuse to leave you alone. Fine lines, wrinkles, dry patches, large pores, texture, dullness, acne, and the list goes on. So what gives? I’ve learned in my oh-so-wise 26 years that I can’t control everything my skin does, but I can figure out ways to outsmart it. If my skin thinks it is going to stand in the way of me doing what I want, then it is sorely mistaken. 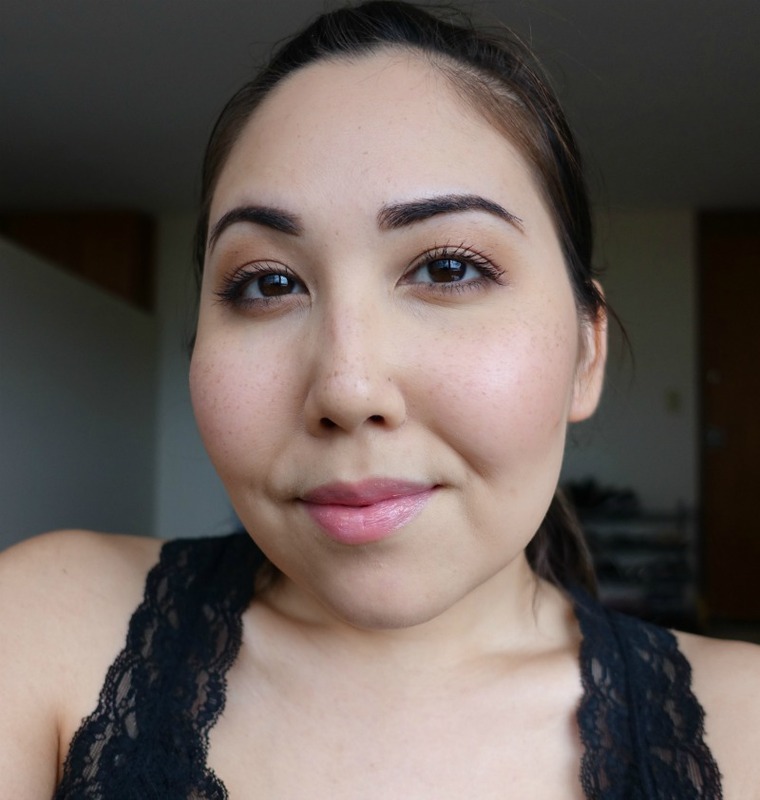 This is my everyday, “flawless skin” makeup routine that helps me look put together, and well, flawless, without caking on the foundation for a full-glam finish. Don’t get me wrong, sometimes full-glam is good, but on most days I just want to look fresh, pretty, and natural. If you do, then keep reading! Here’s a list of all the products I’ll be discussing in this post. There are tons of products here, and you obviously don’t need them all. 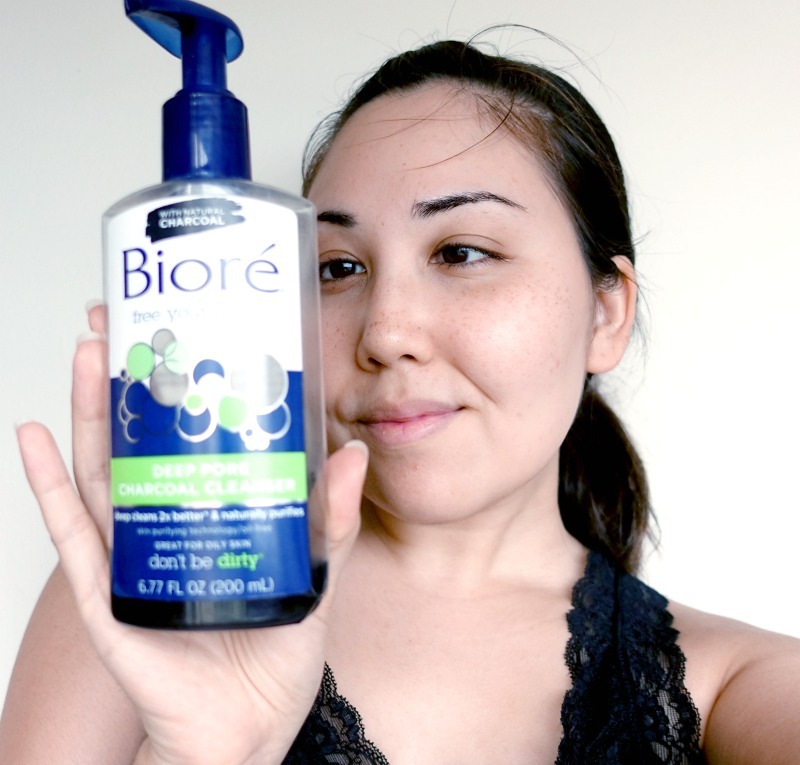 Here’s me gazing lovingly at my new favorite face wash, Bioré Deep Pore Charcoal Cleanser. Clearly, I’ve been loving on that that particular bottle hard. It’s nearly empty. Another favorite of mine is Origins Checks and Balances Frothy Face Wash. They both give a tingly, minty feel that is totally refreshing and amazing. This is a new one for me, but I find it makes a big difference in how flawless my makeup ends up looking. See, I used to constantly go for the lightest & thinnest moisturizer I could possibly find because I was terrified of looking oily. Considering some of the garbage I thought was good, I might as well have skipped moisturizer all together. Even if you have oily skin to contend with, don’t skip moisturizer. I repeat- don’t skip moisturizer! Primers (and sometimes powders) are the way to go when it comes to controlling oil, and restricting moisturizer is not. I’ve been using Clinique Dramatically Different Moisturizing Lotion+ recently, and I really love it. It’s just creamy enough to feel like I’m doing something good for my skin, but not so much that it breaks down my makeup. Primer is SO important. But I didn’t always believe that. Embarrassingly, I used to believe that primer is useless and just another nod to our consumeristic tendencies. Once I began wearing primers on occasion, I slowly noticed the difference in how my makeup looked. Soon I began wearing some sort of primer every single day! With primers for everything floating around, how do you know which one to buy? 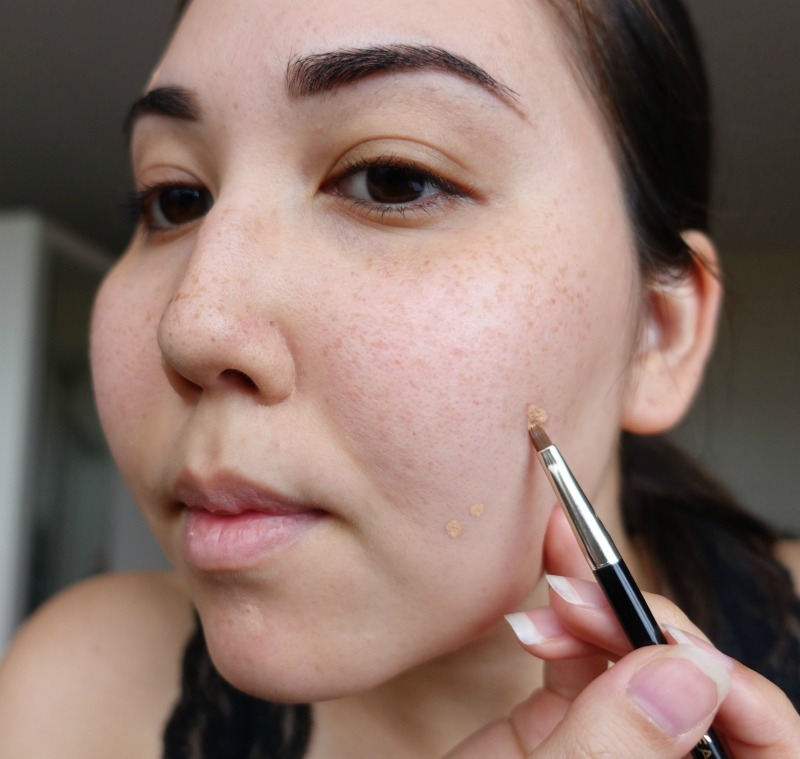 It’s all about pinpointing your specific skin issues and going for primers just for that. Sometimes you’ll need more than one, and that’s okay too! I hop between three primers depending on what I’m dealing with. When my pores look huge, (ahem, see photo below,) E.l.f. Poreless Face Primer becomes my best buddy. Super inexpensive, fills in my pores like a charm, and doesn’t add any extra weight to my foundation look. Feeling dull and dry? Try an illuminating primer! Cover FX Illuminating Primer is awesome for bringing light into your skin all over, or just in target areas. Plus, the thin formula blends beautifully and adds zero texture to your skin. And for those especially oily days, I bring out the big guns, my Cover FX Mattifying Primer with Anti-Acne Treatment. This stuff doesn’t mess around, and it keeps my super-villain oils under control for hours. This is where the magic happens. We’re trained to apply foundation, look for what it doesn’t cover, and then add concealer on top. Here’s why that doesn’t work– It’s super hard to find a concealer that is exactly the same shade as your foundation. And that means being left with oddly-colored polka dots on your face. Not cute. Cover spots you know are too much for your lightweight foundation using a tiny smudge brush and Cover FX Custom Cover Drops. Blend slightly over the edges, while keeping the product in as small an area as possible right over the spot. Allow the superbly pigmented liquid to dry completely before moving on to the next step. This way it stays in place and not blend away so easily. Keep that coverage, girl! Now that all the heavy lifting is done, let your favorite lightweight foundation take care of the rest! I use It Cosmetics Your Skin But Better CC Cream almost every day for the skincare benefits, sun protection, plus pretty decent coverage if you ask me. It evens out my skin, dims the freckles, and neutralizes some pinkness, but it doesn’t completely cover my skin. I want my real skin showing, just minus the imperfections, and this product is perfect for that. I prefer using a BeautyBlender for this because the pressing and bumping motions don’t disturb the carefully placed coverage underneath. My under eye circles usually aren’t too bad, so I stick to a lightweight brightening concealer for under my eyes. If dark circles plague you, I recommend using a color corrector on the smallest area possible to cancel out the discoloration. Then, go over the area with your regular lightweight concealer. The last thing you want is for your face to look mismatched with a heavy under eye area and light coverage everywhere else. For light days, Maybelline Fit Me Concealer is just the best! I know I talk about this one a lot, but it really is one of my staple products. Pressed powder often adds both pigmentation and texture, both enemies of the “natural flawless makeup” look. Loose powders tend to be more finely milled than their pressed counterparts, and so they leave behind a more flawless finish. Yes, they’re messier and a bigger pain to handle, but the difference in finish is totally worth it. Sephora stocks tons of super expensive loose powders if you’re interested, but my favorite is E.l.f. High Definition Powder in Sheer. Seriously, this stuff only costs $6, which is awesome considering how much product you lose into the atmosphere every time you open the container. #RealTalk, ladies. Avoid using shimmery highlighters over textured areas if at all possible. Shimmers reflect light unevenly as it is, and so placing it on areas where light is already unevenly distributed exacerbates the problem. Place your beautiful shimmery highlighters on your best areas, and use a matte highlighting powder (or any product lighter than your skin tone,) over the areas that have some texture, but that you still wish to bring forward. While I love powder highlighters, they can sometimes be difficult to control and blend. Liquid highlighters are much easier to sheer out and blend so you’re left with the flawless makeup look you want. Recently, I’ve been loving my Cover FX Custom Enhancer Drops. I use the shade Moonlight, and it’s so easy to get just the right amount of highlight without going overboard. The same goes for blush! I recommend sticking to matte blushes, and using highlighters to add touches of shine here and there. I use my favorite setting spray, Urban Decay All Nighter, just about every day. When I’m wearing heavy makeup, setting spray helps to moisturize everything so all the layers blend together as one instead of looking like layers upon layers of separate products. On normal days, the slightly tacky spray locks on to my already light makeup and keeps it in place. Just because I started out on the light side doesn’t mean I want to be naked by the end of the day! Okay, maybe that came out wrong, but you know what I mean. Plus it helps keep my oily forehead and nose under control, and that’s important in my book. Just in case you’re wondering, the photo above is taken straight out of the camera. No editing, brightening, or skin smoothing involved. This is what I really look like on the day-to-day. Nothing too fancy, and no Instagram filter magic. This is my favorite kind of look. Put together but not too much. Lovely!